I’m Not Grandpa was nominated for a Liebster Award by Jeremy Atkins of Go Ask Your Daddy. Thank you Jeremy! Please take a few minutes and check out Go Ask Your Daddy. Accepting this award is a great honor, passing it along to other bloggers is an even bigger one. The Liebster Award is passed to newer bloggers from more experienced ones as a way of acknowledging the work put into producing and maintaining an exciting blog. I’m Not Grandpa is written from the perspective of a 50-Something First-Time Dad. The tales of this Stay at Home Dad are written with a mix of sarcasm and sentiment. I started I’m Not Grandpa as a way of documenting the excitement fatherhood and have been surprised at how it’s been received. Along the way I’ve enjoyed reading the work of many Mommy and Daddy bloggers as well as many well-written blogs covering a vast array of topics. Facebook and Twitter allowed me to meet some amazing writers through various blogging groups and even more amazing people as we perfect our craft. You definitely don’t see many first time dads at the age of 50, but Frank’s blog chronicles just that. This is one blog that I will definitely follow and look for new posts about his adventures. I became a first time dad 10 years ago. I can’t imaging becoming a dad in my 50s. An enjoyable blog! 1 – Thank the person/blog who nominated you and post a link to their blog on your blog. 3 – Answer the 10 questions about yourself that your nominating blogger chooses for you (see my questions above). 4 – Nominate 10 blogs that you feel deserve the award. These must be new bloggers (less than two years blogging) who have fewer than 1000 followers. 5 – Create a list of questions for your nominated bloggers to answer. 7 – Inform the blogs that you nominated that they have been awarded the award and provide a link for them to your post so that they can learn about it. 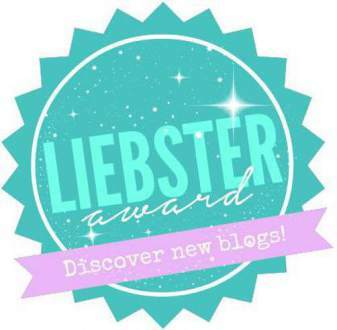 The rules of accepting the Liebster Award ask me to answer a few questions and post them to my blog. Here they are! 1 – What inspired you to start your blog? I’ve been blogging for about five years, mainly about running, my running blog is North Queens Runner. During my wife’s pregnancy I read a few parenting books, although they were helpful, they were written mainly for by women for women. As a sarcastic person, my mind went to the races and I thought this would make a great blog. 2 – What blogging goal are you currently striving for? Trying to post quality work on a consistent schedule, it’s not as easy as it sounds, while balancing work and caring for a 16-month old son. 3 – What activities do you enjoy outside of blogging? I enjoy running I’ve run 12 marathons and two ultramarathons and am an avid cyclist. I love movies, all periods and genres. I’m a big New York Mets and Dallas Cowboys fan. I enjoy spending quality time with my wife, which is harder to do since the baby was born. 4 – What tactics do you employ on those days when blogging is hard & frustrating? A writing teacher taught me, there are two parts to a writer, the Generator and the Editor. The Generator takes the raw material from your head and gets it onto paper, a computer screen or whatever medium one uses for the process. The Editor takes this raw material and crafts it into a finished piece. On those days when I’m blocked I just write, not attempt to make every sentence perfect, just generate raw material, it can usually be cleaned up in future drafts. 5 – If you could have lunch with any famous person, who would you choose? Willie Mays, probably the best centerfielder ever. 6 – What are your three favorite blogs to follow? Pavement Runner, Dad and Buried, and Life as a Rambling Redhead. 7 – What piece of blogging advice have you found to be most helpful? Write for yourself. Don’t write with an eye towards monetizing your blog towards a mass market, focus instead on writing quality work. If you consistently do this the rest will take care of itself. 8 – Are you a full-time blogger or do you also hold down a day job? I work from home as a consultant, it lets take care of the baby as I work. 9 – What is your favorite post on your blog thus far? My favorite post is What’s in a Name. It’s one of my first posts where I write about my wife and I picking our son’s name. I got the sarcasm just right in that one. 10 – What social media platforms do you use and which one is most effective for you? I’m on several, Facebook. Twitter, Instagram and I just created a Pintrist profile. Facebook and Twitter allow me to promote new posts on my blog, they have allowed me to network with other bloggers and learn from them. Syreeta @ Pecan Momma Tales – Syreeta is a wife and mother in a blended family. Her blog is a support system for mothers and parents taken from her own experiences, offering encouragement, parenting, marriage and relationship advice. Her posts are inspiring. Suzanne @ maQ + Suz Blog – A lifestyle blog by Suzanne Spiegoski, a freelance portrait and lifestyle photographer, as well as writer and published author. Her posts are a mix of photography, fashion, food and recipes, health and fitness in addition to her day to day adventures. Her posts combine text and images with such synergy, everything from NYC Street Art to the recent blizzard. Great stuff! Tanya and Nara @ Motherly Adventures – Written by a pair of thirty-something friends who met a decade ago while backpacking through Europe. Flash forward to present day where they are wives and mothers blogging about topics such as pregnancy, making life easier for new mothers and juggling family and career. A good read. Kirstie @ TEFL Teaching Abroad – Kirstie is a qualified TEFL (Teaching English as a Foreign Language) Teacher from Leiscester England currently living and teaching in Chiang Mai Thailand. She writes about her experiences living in a new land and traveling through and exploring neighboring countries. Michelle @ Hello Peachy Skin – Looking young and healthy has never been more confusing. The cosmetic companies tell you their anti-aging creams have magical powers. Doctors say Botox is the answer and every other week a new diet goes mainstream offering the answer. Who do you believe? Michelle investigates; her posts are based on what scientists have proven to be true. Are they? Follow her blog to find out. Jeff @ Daddy is Best – Jeff is a blogger, writer, aspiring speaker, humorist, husband and father of two children. I was drawn to this site because like me Jeff became a Dad is in 50s. His posts are insightful real-life depictions of day-to-day life—he doesn’t sugarcoat things—he tells things like they are. His posts keep me coming back for more. Susan @ Skirt in the Kitchen – This lifestyle blog merges many things, food and music, and modern and vintage. Susan makes it all work the way an excellent cook combines ingredients in just the right proportions creating an unforgettable meal. Reading this blog makes me feel like I’m having a slice of homemade pie with a good cup of coffee at her vintage kitchen table. Aly @ Small Hopper – The parents of a blended family, Aly Stuckart and her husband are a combo of West Coast ease and Southern flair and hospitality all rolled into this crazy package. This blog finds the humor in day-to-day life There’s also a gallery where one is able to see family pictures. Sam @ Raising my mini me – Sam blogs about life as a new mom. starting with the pregnancy. She gives pulls no punches as she writes about motherhood, gives product reviews and recently adding receipes. All this from someone who doesn’t have a clue. Now, for all of the 9 awardees above, it’s your turn to answer the questions below and post your answers! 2.) What blogging goal are you currently striving for? 3.) What activities to you enjoy outside of blogging? 4.) What tactics do you employ on those days when blogging is hard & frustrating? 5.) If you could have lunch with any famous person, who would you choose? 6.) What are your three favorite blogs to follow? 7.) What piece of blogging advice have you found to be most helpful? 8.) Are you a full-time blogger or do you also hold down a day job? 9.) What is your favorite post on your blog thus far? 10.) What social media platforms do you use and which one is most effective for you?